Mary’s Tack and Feed will be hosting a FREE Equine GI Tract Seminar with guest speaker Dr. Rebecca James DVM on Saturday, May 16th from 2pm to 4pm and will be held in the Mary’s Del Mar Arena. 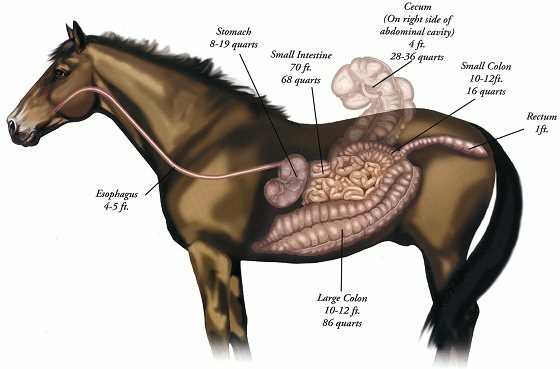 The GI tract is one of the most important organ systems in equines as it enables horses to breakdown grasses and foods and absorb the nutrients to provide energy and support on a cellular level. Dr. Rebecca James DVM is from the San Dieguito Equine Group and will be discussing overall health of the Equine GI Tact. We will touch on the physiology and anatomy of the GI tract; forage, concentrated feeds, and supplements; parasites, diseases, colic, and ulcers. To reserve your spot, please RSVP today at 858-755-2015. We hope you can join us for this valuable and informative seminar! May 8, 2015 in General Mary's Info. ← Mother’s Day Ideas at Mary’s Tack and Feed!